When Kate and Scott Temple are involved in sticky situations at work involving a tractor and some errant fireworks it becomes apparent that they both have a bit of a problem. A wine bottle shaped problem. Their teenage daughter, Holly, is thoroughly sick of her parents behaviour after they've had a few - and she decides to film their drunken antics (women's underwear may be involved. Oh, and a Christmas tree...) She then does what any normal seventeen year old girl would do and posts the footage onto YouTube. However, what Holly wasn't counting on was her video being spotted by YouTube sensation PinkyPud. After he shares the video it goes viral before you can say 'drink problem' and Kate and Scott become a laughing stock. However, it's not all bad - Kate & Scott's antics becoming an overnight sensation prompt them to finally do something about their drinking. And not only that, but with Holly's help they decide they are going to document their mission to become teetotal for a year online - and so begins #DryHard. I really felt for Holly when it became apparent that this behaviour was quickly becoming the norm with her parents. Let's be honest - parents can be embarrassing enough at the best of times, but when they are completely blotto and your dad is trying on your mum's underwear before face-planting into the sofa - definitely not good. I was glad that she decided to upload the footage of Kate & Scott onto YouTube, but even she had no idea that it was going to take off in the way that it did. This then opened up a really interesting aspect of the story, as it began to touch upon the world of YouTube. As a YouTube viewer I found this side of things fascinating to read about as we began to meet other YouTube stars who were jumping on the bandwagon and muscling in on #DryHard. I pretty much hated them all; especially 'PinkyPud' who was infuriating (but his restaurant Control, Alt, Del-Eat is probably the coolest named restaurant ever. Not that I'd want to eat there...Ick) Dry Hard really does explore the impact that social media and YouTube has on our world at the moment and I really enjoyed how this was such a big part of the story. I also liked how some of the people online really got behind Kate and Scott and supported them in their journey. There were, of course, the usual handful of faceless trolls, but it was nice to read about people being kind on the internet, as that is something which often seems a bit of a rarity these days. One of the things I love most about Nick's writing is how he can take a very serious subject and put a humourous spin on things. Yes, alcohol addiction is a serious and scary subject, but Nick adds just the right amount of comedy to make these subjects seem slightly less scary, but they also remain very real. Holly was a wonderful character too; I loved how she supported her parents and towards the end of the book we get to see the lengths that Kate and Scott will go to for their daughter, which was both touching and in true Nick Spalding style - really funny at the same time. 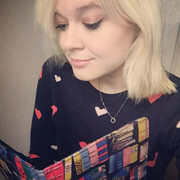 The format in which the book was written was also really effective as each chapter is told in first person by one of the three main characters. This enables you to really get to know them all on just that little bit more of a personal level and helps you to really empathise with their situation, whether that's the struggles that the 'Temple Twosome' (aka Scott and Kate) are going through, or the feelings that Holly is experiencing on the other side. 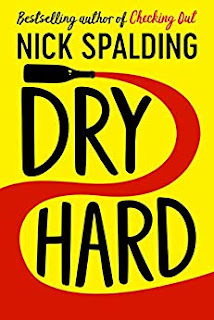 If you're doing Dry January then this book should be required reading, but Dry Hard is wonderful enough to brighten up anyone's dreary January, regardless of whether processco is on the menu or not. 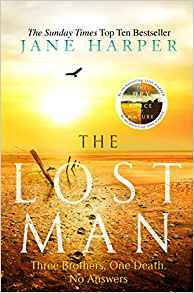 Full of belly laughs and with a gripping storyline at its heart, I'd highly recommend this thought-provoking, engrossing novel about the choices that we make and ultimately, the importance of family. Oh wow, this is good sounding. sounds super interesting, will have to check this one out! This sounds like it would give me a good laugh! This is intriguing! Great review. I like the sound of this book. I personally know a few people who drink every night. From the moment they get home from work until they go to bed their choice of drink is alcohol. I think having this relationship with alcohol is not only bad for your body but like in the book bad for the family. Might have to give this a read at some point. Looks really good! Great review! Great review, this book really looks and sounds absolutely great and very thought provoking I'm really glad you fully enjoyed reading it. Thank you so much for sharing your awesome post.